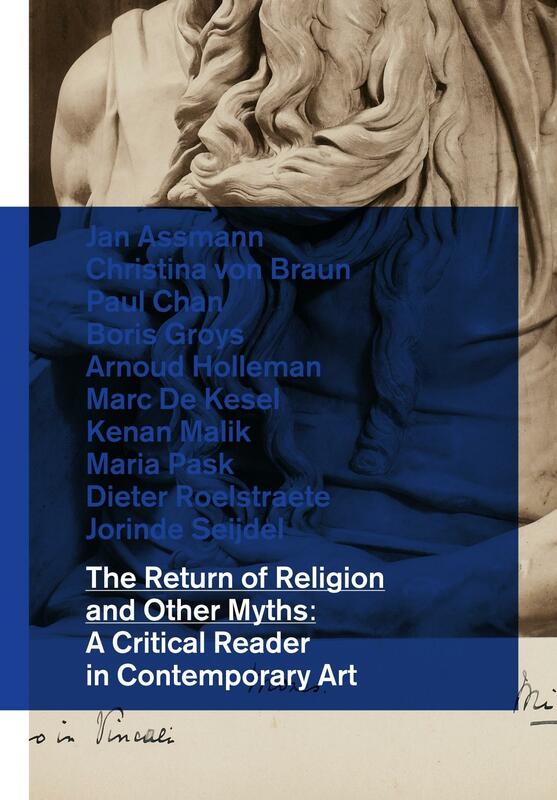 The Return of Religion and Other Myths: A Critical Reader in Contemporary Art is the latest publication in BAK, basis voor actuele kunst’s Critical Reader Series and the final part of a three-fold project organized by BAK under same title, in which the popular assumption of the return of religion to the field of artistic practice and its discourses, the public sphere, contemporary politics, and media in the West is interrogated as a constitutive “myth” of our current condition. Through a wide-ranging selection of texts, a remarkable group of artists, art historians and theorists, scholars of religion, and sociologists unpack the historical underpinnings of religion’s so-called “return,” art’s long-standing relationship with iconoclasm and connection to religious representation, the manipulation of certain religious imagery in the mass media, and contemporary art’s potential to complicate and problematize commonly-held beliefs about the role and potential of the image in today’s world. The reader contains newly commissioned texts, a number of new translations, and adapted contributions from On Post-Secularism, a series of lectures and conversations that took place within the framework of The Return of Religion project in late 2008 and early 2009. With contributions by: Jan Assmann (Egyptologist and cultural theorist, Heidelberg and Konstanz); Christina von Braun (cultural theorist, author, and filmmaker, Berlin); Paul Chan (artist, New York), Boris Groys (philosopher, art critic, essayist, and curator, New York) & Maria Hlavajova; Arnoud Holleman (artist and writer, Amsterdam); Marc de Kesel (philosopher, Ghent and Nijmegen); Kenan Malik (writer, lecturer, researcher, and broadcaster, London); Maria Pask (artist, Amsterdam); Dieter Roelstraete (writer and curator, Antwerp and Berlin), and Jorinde Seijdel (art historian and critic, Amsterdam). This publication is sadly no longer available.